Robert was looking for a contemporary update on his loyal On-one. 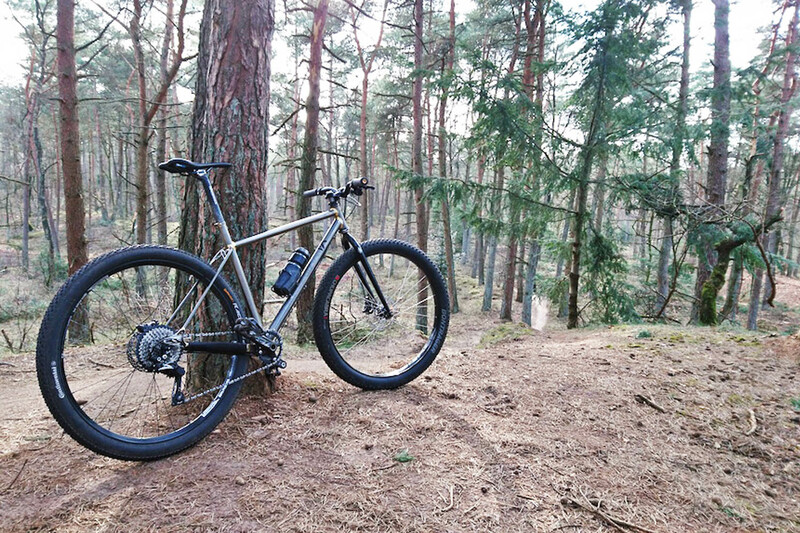 A rigid bike for the wonderful singletracks at the Utrecht Heuvelrug, able to fit both 29 and 27.5+ and ridden both geared and singlespeed. Being a taller guy he didn’t want an extra brace for the seattube to keep the clean look. I chose a thicker seattube with a long butted zone to avoid the brace while staying stiff. Tubeset is mainly Reynolds 853, apart from the long downtube which is Columbus Zona. The dropouts are stainless and brazed with silver to prevent rust. Eventhough I tried to talk him out of a clearcoat he insisted and I did learn a lot from this. 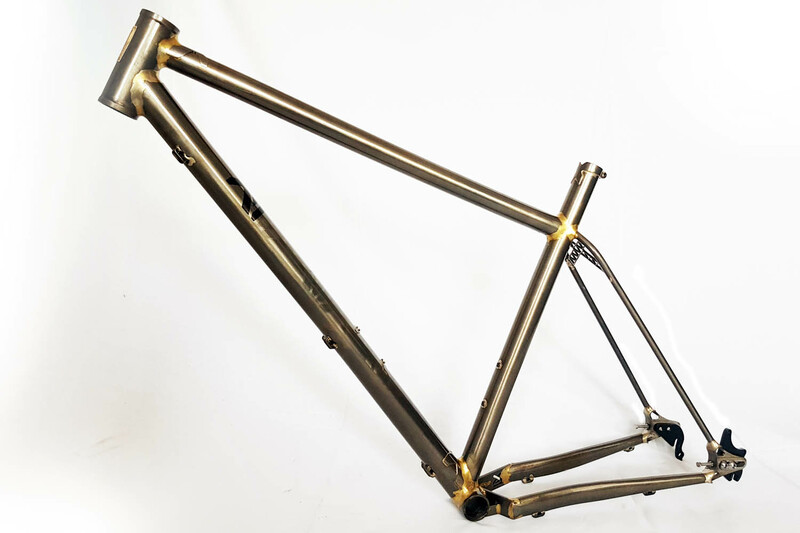 (even if I am not 100% happy with the esthetics of the brazing on this frame) Before the final design Robert had a bikefitting with Mago and the geometry has been tweaked according to the results.